Home Videos Movie Trailers Deva Trailer: A Colourful Multi-Starrer! 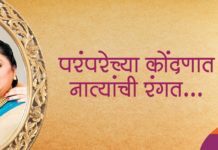 We have seen quite a few love triangles in Marathi cinema in recent times. Many a times when we see three known stars together in a film, we predict it’s a love triangle. However though Deva stars Ankush Chaudhari, Tejaswini Pandit & Spruha Joshi it doesn’t feel like a typical love triangle! The colourful flavour of the film has reflected in every aspect of the film as evident from the trailer. Whether, it’s the beautiful locations or the refreshing dressing styles of the lead actors ‘Deva’ projects a variety of colors. These colours also symbolize ‘happiness’, & the thought of living life to the fullest which seems to be the philosophy of the title character ‘Deva’ played by Ankush Chaudhari. This film is an official remake of a Malayalam film ‘Charlie’. 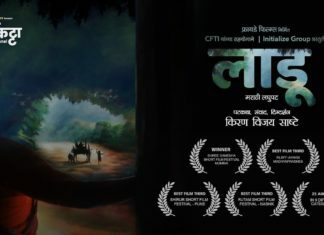 However this trailer suggests that it has been suitably adapted for the Marathi audiences to connect with us instantly. 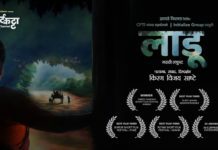 Previous articleNude Marathi Movie Teaser: A Soulful Tale Of Humanity!